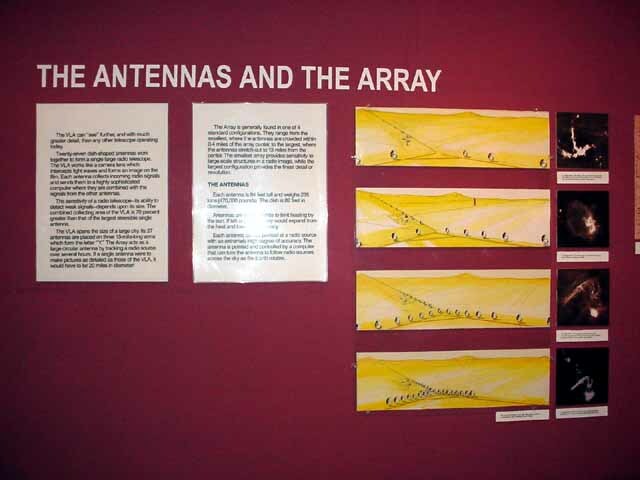 The Very Large Array (VLA) captured my interest when it was shown just after completion on Carl Sagan's documentary, Cosmos, in 1980. 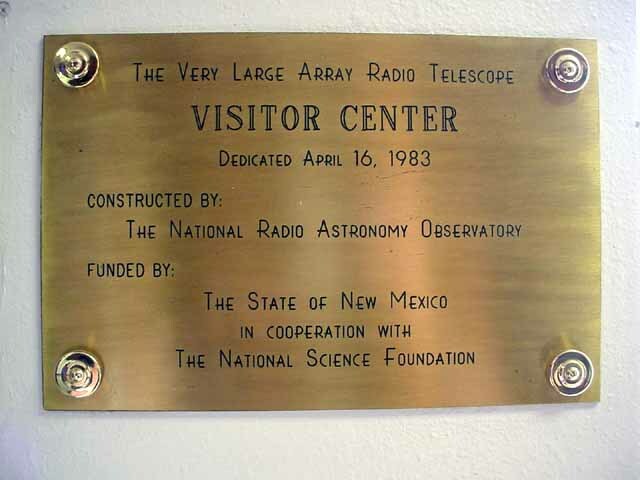 It's one of the most powerful radio telescopes ever built, and is used by visiting astronomers from all over the world. 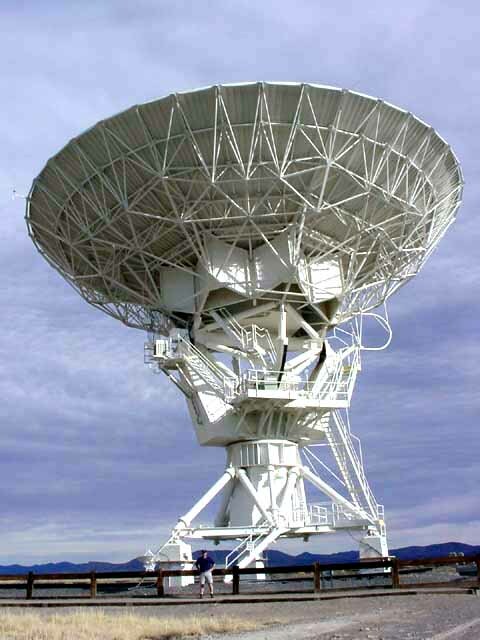 Astronomers use it to study all sorts of cosmic phenomena such as nebulae, galaxies, stellar nurseries, and the like. 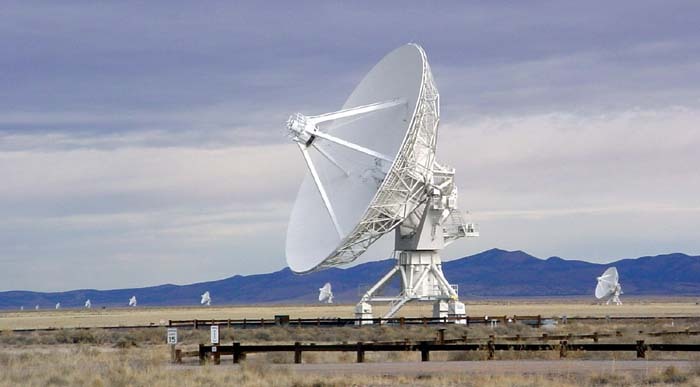 Behind the scenes of "Contact" at the VLA. 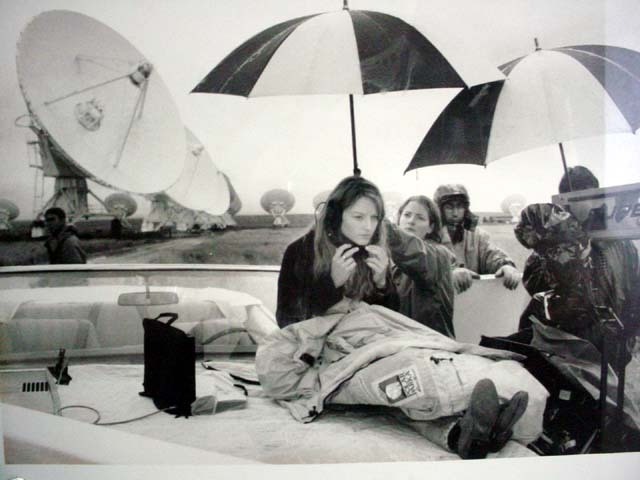 Jodie Foster is pictured here on the hood of a car as she "listens" to the sounds of the universe. 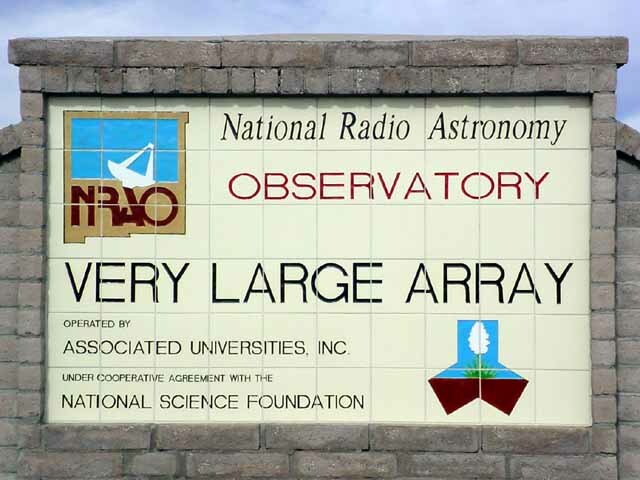 The array is located on the San Agustin plains, a few miles west of Socorro, New Mexico. 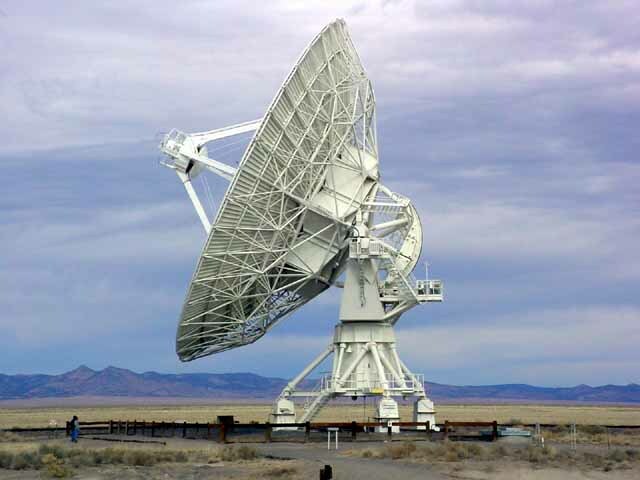 It consists of 27 dishes in a "Y" pattern, with 9 dishes per leg of the Y. 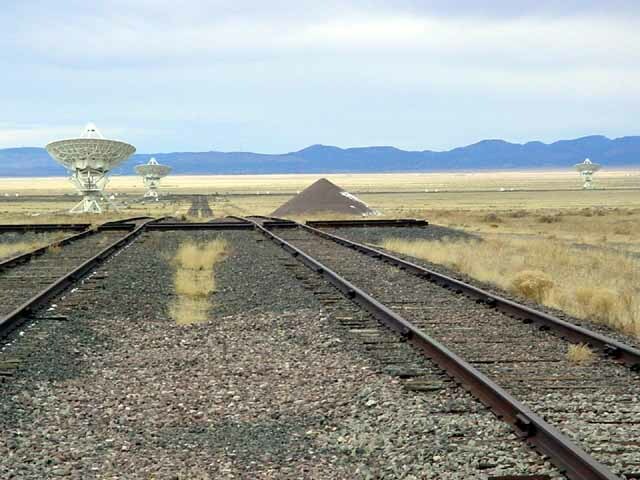 They can be moved with the last dish as far as 13 miles out, or crowded together within 1/2 mile. 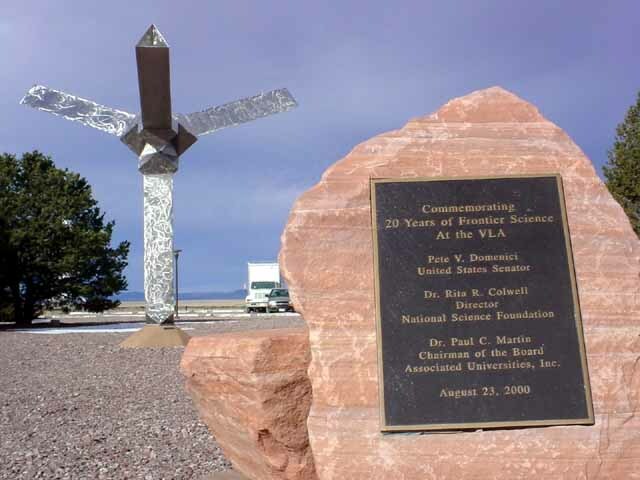 All of these large structures are built and maintained on-site. 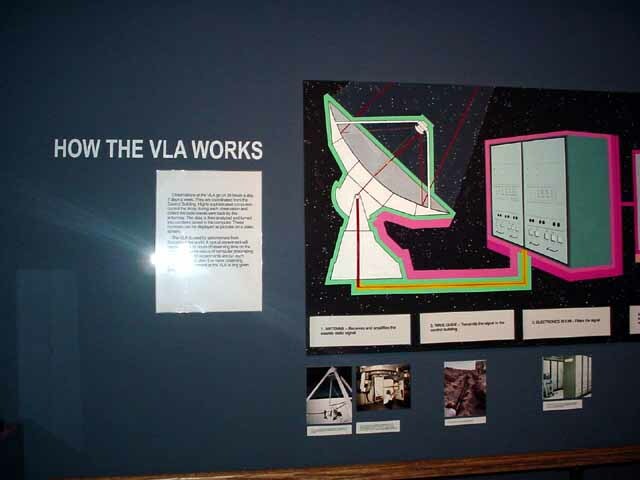 Cosmos isn't the only film to use the VLA. 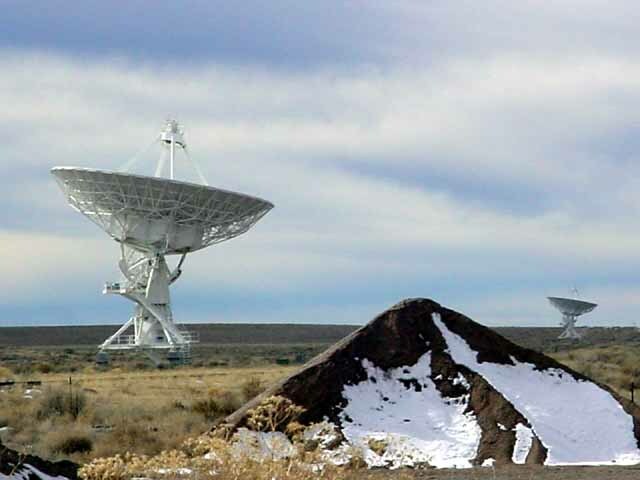 It can also be seen with actor Roy Scheider in the beginning of the movie, 2010 - The Year We Make Contact. 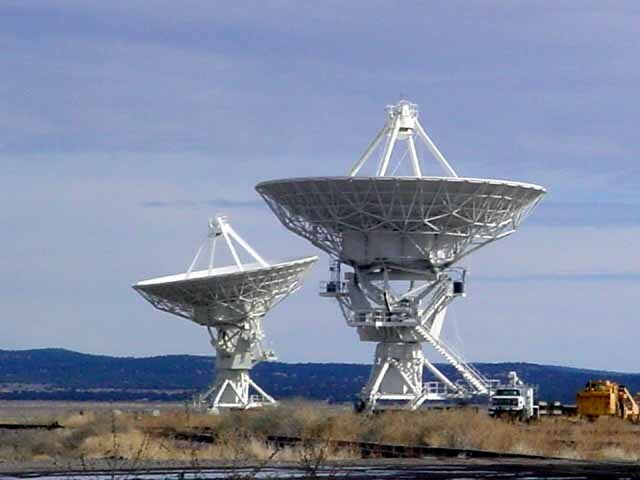 Most recently, the site was used for the movie, Contact, with actress Jodie Foster playing a radio astronomer who is passionate about her work. 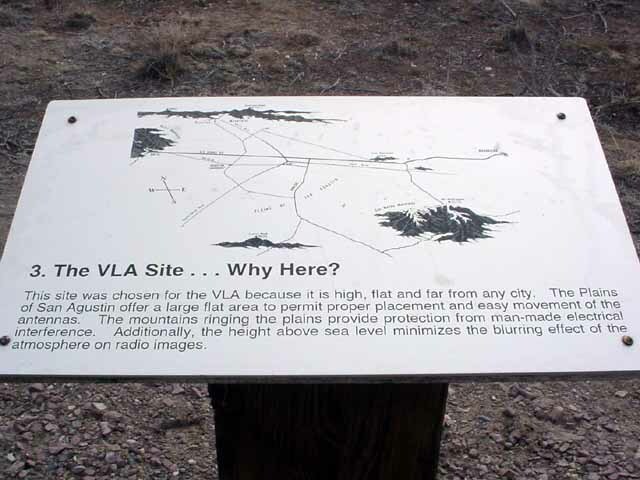 The Visitor's Center has a great deal of information about the construction of the site, how the VLA works, and Radio Astronomy in general. 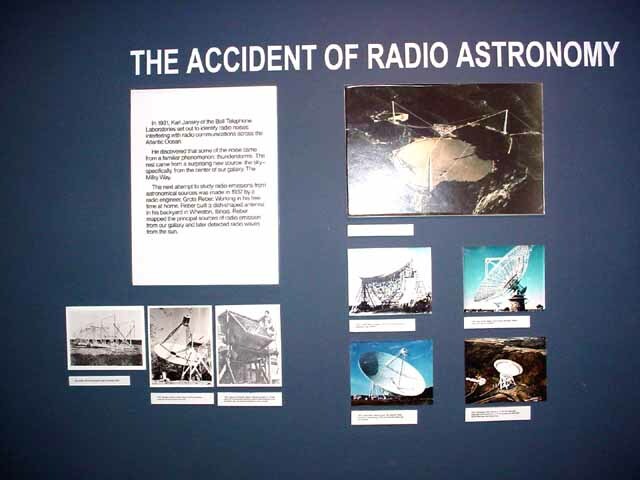 The Gift Shop has some nice things, as well as some learning games for the kids. 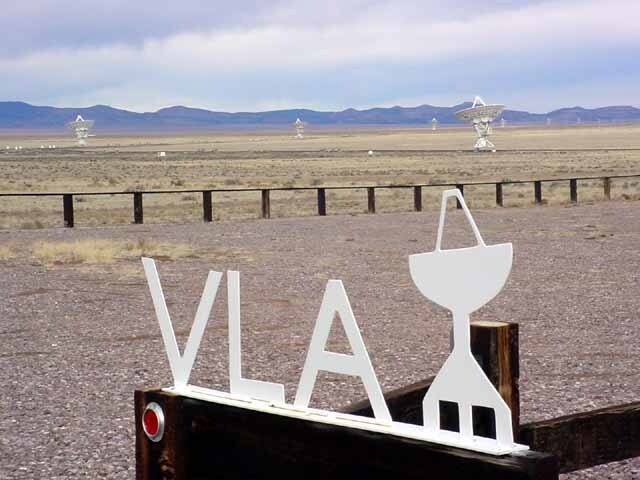 Before I left the VLA, I had to get a photo next to one of the dishes. 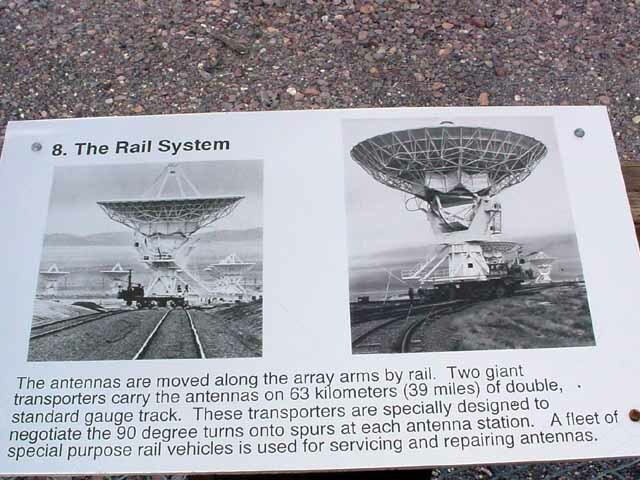 It's simply massive!! 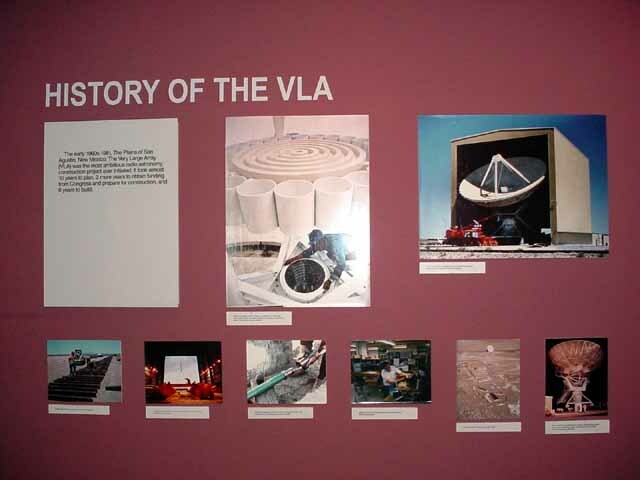 If you're either a science geek, or a Sci-Fi geek like me, plan a stop at the VLA. 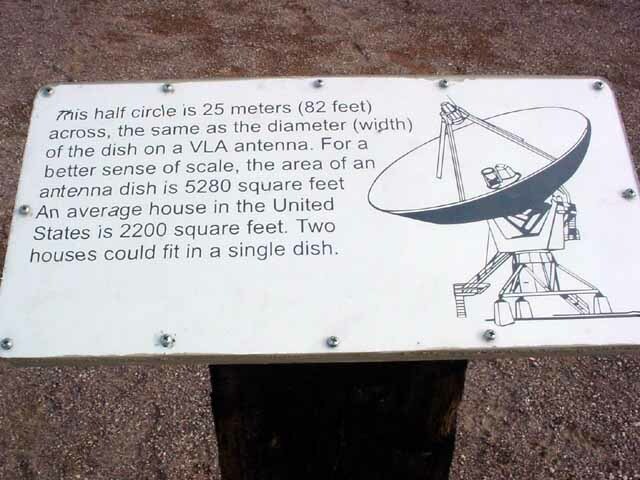 If you look close, you can see me standing at the base of the dish.